Recently, I stumbled accross this little island called "Neuwerk" situated northwest from the city of Cuxhaven. It has a firehouse I'd like to see (and visit). Now, I was wondering if it would be possible to get there? When I try to look for a navigation to the island, it says there is no possible route to it, so I'm guessing there is no "official" ferry going back and forth, or am I missing something here? 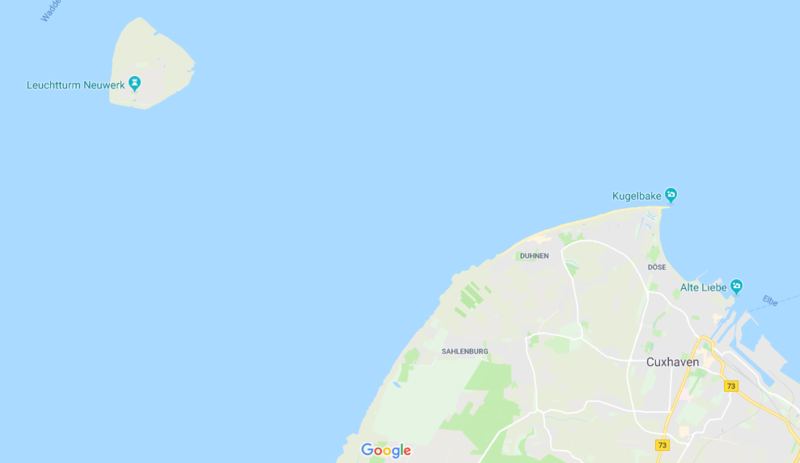 There are four hotels on the island, which you can book online, each of their websites probably has info about how to get there (seeblick-insel-neuwerk.de, husachterndiek.de, inselneuwerk.de, neuwerk-hotel.de). The light house website (https://www.leuchtturmneuwerk.de/) also has a link to a company that ferries you there (https://www.cassen-eils.de/). When I try google maps with 'walking' it tells me that you can walk there at low tide, but it's about 8 km. Day guests frequently visit on foot through the mudflats or in one of the horse-drawn carriages, and then return to Cuxhaven on the MS “Flipper”. Not the answer you're looking for? Browse other questions tagged germany ferries islands or ask your own question.